The United States District Court for the Northern District of Illinois is the federal trial-level court with jurisdiction over the northern counties of Illinois. South Deering, located on Chicago's far South Side, is the largest of the 77 official community areas of that city. It is part of the 10th Ward, once under the control of former Richard J. Daley ally Alderman Edward Vrdolyak. Primarily an industrial neighborhood, a small group of homes exists in the northeast corner and Lake Calumet takes up a large portion of the area. 80% of the community is zoned as industrial, natural wetlands, or parks. The remaining 20% is zoned for residential and small-scale commercial uses. The neighborhood is named for Charles Deering, an executive in the Deering Harvester Company that would later form a major part of International Harvester. International Harvester owned Wisconsin Steel, which was originally established in 1875 and was located along Torrence Avenue south of 106th Street to 109th Street. The Southeast side of Chicago officially begins East of State Street going southwards. It extends south and east to the city limits, generally keeping between Lake Michigan and Lake Calumet. Politically, the Southeast side is contiguous with the 10th Ward. 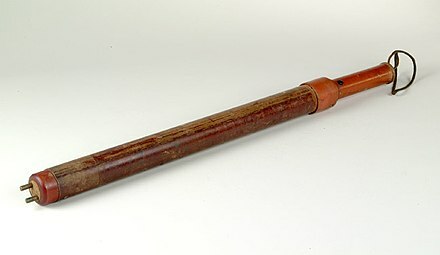 Burge was accused of using a cattle prod against suspects. After being pardoned by Governor Ryan, Burge's accusers from death row began to file lawsuits against the city and its officers. Madison Hobley was the first of the four pardoned inmates to file suit in May 2003. Aaron Patterson followed in June with a lawsuit,   and Stanley Howard filed suit in November 2003. LeRoy Orange also filed suit. 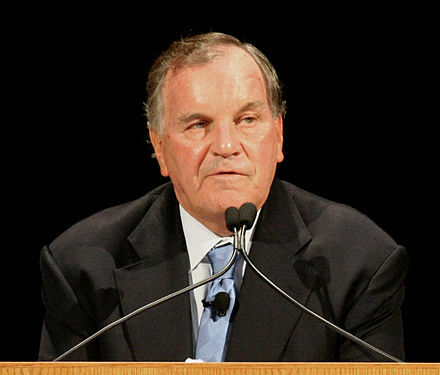 Former Chicago Mayor Richard M. Daley was the Cook County State's Attorney during the Burge trials. The city paid a total of $391.5 million in settlements and judgments. The Burge case has been chronicled in various formats in the mass media. ↑ Wilgoren, Jodi (January 10, 2003). "Illinois Expected To Free 4 Inmates". The New York Times . The New York Times Company . Retrieved November 17, 2007. 1 2 Flock, Jeff (January 13, 2003). "'Blanket commutation' empties Illinois death row". CNN. Archived from the original on February 8, 2008. Retrieved October 5, 2007. 1 2 3 4 5 6 7 "Tools of Torture". Chicago Reader. February 4, 2005. Retrieved October 2, 2007. 1 2 3 4 5 6 7 Conroy, p. 61. 1 2 3 4 5 6 7 8 9 LaPeter, Leonora (August 29, 2004). "Torture allegations dog ex-police officer". St. Petersburg Times. Retrieved October 3, 2007. ↑ "Burge Federal Indictment". United States Attorney . May 13, 2009. Retrieved August 5, 2009. ↑ "Burge to head bomb and arson unit". Chicago Sun-Times. Newsbank. August 14, 1986. Archived from the original on August 4, 2009. Retrieved July 14, 2008. ↑ Casey, Jim; Phillip J. O'Connor (January 27, 1988). "51 cops get new jobs in shakeup of Martin staff". Chicago Sun-Times. Newsbank. Archived from the original on August 4, 2009. Retrieved July 14, 2008. ↑ Wattley, Philip (January 27, 1988). "City Police Chief Reshuffles Staff – Assault on Street Crime in the Cards". Chicago Tribune . Newsbank. Retrieved July 14, 2008. 1 2 3 4 Grady, William (February 15, 1989). "Police Brutality Suit Heads To Trial". Chicago Tribune. Newsbank. Archived from the original on January 21, 2016. Retrieved July 14, 2008. 1 2 Baker, Peter C (March 8, 2019). "In Chicago, reparations aren't just an idea. They're the law". The Guardian . Retrieved March 8, 2019. 1 2 Guarino, Mark (October 2, 2014). "Disgraced Chicago police commander accused of torture freed from prison". The Guardian . ↑ "James E. Doyle". The Officer Down Memorial Page. Retrieved May 17, 2015. ↑ "Patrolman Richard James O'Brien". The Officer Down Memorial Page. Retrieved May 17, 2015. ↑ "Patrolman William P. Fahey". The Officer Down Memorial Page. Retrieved May 17, 2015. 1 2 John Conroy (January 26, 1990). "Police Torture in Chicago: House of Screams". Chicago Reader. Retrieved January 27, 2014. ↑ "2 OFFICERS CLEARED OF TORTURING SUSPECT". Chicago Tribune. September 19, 2018. ↑ "Deaf to the Screams". Chicago Reader. July 31, 2003. 1 2 3 Mount, Charles (December 21, 1985). "Judge's Error Means New Trial in Killing of Cops". Chicago Tribune. Newsbank. Archived from the original on January 21, 2016. Retrieved August 4, 2008. ↑ Tybor, Joseph R. (April 3, 1987). "Verdict Overturned in Killing of 2 Cops". Chicago Tribune. Newsbank. Archived from the original on January 21, 2016. Retrieved August 4, 2008. ↑ Cose, Larry (October 1, 1987). "2nd brother wins new trial in cop killings". Chicago Tribune. Newsbank. Archived from the original on January 21, 2016. Retrieved August 4, 2008. ↑ Seigel, Jessica; Matt O'Connor (June 21, 1988). "Man Is Found Guilty 2D Time in Cop Killings". Chicago Tribune. Newsbank. Archived from the original on January 21, 2016. Retrieved August 4, 2008. ↑ Seigel, Jessica; Matt O'Connor (June 28, 1988). "Cop Killer Spared Death As 2 on Jury Hold Out". Chicago Tribune. Newsbank. Archived from the original on January 21, 2016. Retrieved August 4, 2008. ↑ O'Connor, Matt (July 13, 1988). "Andrew Wilson Gets Life Sentence in Killing of Cops". Chicago Tribune. Newsbank. Archived from the original on January 21, 2016. Retrieved August 4, 2008. 1 2 Drell, Adrienne (April 3, 1989). "Jurors think a retrial useless for cop killer". Chicago Sun-Times. Newsbank. Archived from the original on January 21, 2016. Retrieved July 14, 2008. ↑ Drell, Adrienne (March 14, 1989). "Cop denies beating, torture". Chicago Sun-Times. Newsbank. Archived from the original on January 21, 2016. Retrieved July 14, 2008. ↑ Mills, Marja (March 14, 1989). "Police Officer Denies Torturing of Suspect". Chicago Tribune. Newsbank. Archived from the original on January 21, 2016. Retrieved July 14, 2008. ↑ Cohen, Sharon. "2 decades of abuse charges, finally a sentencing in police scandal that haunted city". Streetgangs.com. The Associated Press. Retrieved July 28, 2015. ↑ Conroy, John (January 25, 1990). "House of Screams". Reader. Sun-Times Media LLC. Retrieved July 28, 2015. ↑ "Judge Clears Police Officer in Rights Suit". Chicago Tribune. Newsbank. March 16, 1989. Archived from the original on January 21, 2016. Retrieved July 14, 2008. 1 2 Drell, Adrienne (March 31, 1989). "2 cops cleared of brutality – no verdict on 3rd". Chicago Sun-Times. Newsbank. Retrieved July 14, 2008. ↑ Grady, William (April 11, 1989). "Cop Killer's Attorneys, Judge at Odds Over Start of New Trial". Chicago Tribune. Newsbank. Retrieved July 14, 2008. ↑ "Cop Killer Gets Rights Trial Delayed". Chicago Tribune. Newsbank. April 12, 1989. Archived from the original on January 21, 2016. Retrieved July 14, 2008. ↑ Drell, Adrienne (August 9, 1989). "3 cops win in killer's brutality suit". Chicago Sun-Times. Newsbank. Archived from the original on January 21, 2016. Retrieved July 14, 2008. 1 2 Long, Ray (January 31, 1991). "Davis charges cop cover-up". Chicago Sun-Times. Newsbank. Archived from the original on May 18, 2015. Retrieved July 15, 2008. ↑ "Brutality Alleged on Southwest Side". Chicago Tribune. Newsbank. May 13, 1990. Archived from the original on May 18, 2015. Retrieved July 15, 2008. ↑ "Chicagoland". Chicago Tribune. Newsbank. August 1, 1990. Archived from the original on May 18, 2015. Retrieved July 15, 2008. 1 2 "Amendment to House Bill 765". Illinois General Assembly. March 27, 2007. Archived from the original on March 8, 2012. Retrieved October 2, 2007. ↑ Long, Ray (January 29, 1991). "Group wants police commander fired". Chicago Sun-Times. Newsbank. Retrieved July 15, 2008. ↑ Nicodemus, Charles (November 26, 1991). "Strategy hinted for hearing on police brutality charges". Chicago Sun-Times. Newsbank. Archived from the original on January 21, 2016. Retrieved July 15, 2008. ↑ Rossi, Rosalind (October 11, 1991). "$16 million suit alleges torture by city cops". Chicago Sun-Times. Newsbank. Archived from the original on January 21, 2016. Retrieved July 15, 2008. ↑ "Lawsuit Charges Police Brutality". Chicago Tribune. Newsbank. October 11, 1991. Archived from the original on January 21, 2016. Retrieved July 15, 2008. ↑ Nicodemus, Charles (March 19, 1995). "Daley Won't Block Controversial Cop's Promotion". Chicago Sun-Times. Newsbank. Archived from the original on January 21, 2016. Retrieved July 15, 2008. ↑ Seibel, Tom (January 14, 1993). "Cop Accused in Torture Suit – Shock Treatment Used to Get Confession, Youth Says". Chicago Sun-Times. Newsbank. Archived from the original on January 21, 2016. Retrieved July 15, 2008. ↑ McMahon, Colin; Christine Hawes (January 14, 1993). "Suit Alleges Cop Torture of Youth". Chicago Tribune. Newsbank. Archived from the original on May 18, 2015. Retrieved July 15, 2008. ↑ Sanders, Francine J. "A former investigator of police misconduct on the questions she never asked". chicagoreader.com. ↑ Hausner, Les (November 8, 1991). "Probers seek action against cop – Commander accused of excessive force". Chicago Sun-Times. Newsbank. Archived from the original on January 21, 2016. Retrieved July 15, 2008. ↑ Jackson, David (November 8, 1991). "Brutality Charges To Be Reviewed – Brighton Park Commander Allegedly Tortured Suspects". Chicago Tribune. Newsbank. Retrieved July 15, 2008. ↑ Jackson, David (November 10, 1991). "Questions About Police Torture Persist". Chicago Tribune. Newsbank. Archived from the original on January 21, 2016. Retrieved July 15, 2008. ↑ O'Connor, Phillip J. (November 14, 1991). "Police Board sets November 25 dismissal hearing for 3". Chicago Sun-Times. Newsbank. Retrieved July 15, 2008. 1 2 "City Hires Attorney in Police Firings". Chicago Tribune. Newsbank. November 19, 1991. Archived from the original on October 26, 2008. Retrieved July 15, 2008. ↑ Rossi, Rosalind (December 21, 1991). "3 cops accused of brutality sue to challenge suspensions". Chicago Sun-Times. Newsbank. Archived from the original on October 26, 2008. Retrieved July 15, 2008. ↑ "3 Suspended Officers Lose Bid in Court To Win Reinstatement". Chicago Tribune. Newsbank. December 27, 1991. Archived from the original on January 21, 2016. Retrieved July 15, 2008. ↑ Nicodemus, Charles (February 8, 1992). "Report cites 12 years of S. Side cop brutality". Chicago Sun-Times. Newsbank. Archived from the original on January 21, 2016. Retrieved July 15, 2008. ↑ Jackson, David (February 9, 1992). "Police Study Turns Up Heat on Brutality". Chicago Tribune. Newsbank. Archived from the original on January 21, 2016. Retrieved July 15, 2008. ↑ Stein, Sharman (February 11, 1992). "Burge-Case Panel Hears of Torture". Chicago Tribune. Newsbank. Archived from the original on January 21, 2016. Retrieved July 15, 2008. ↑ Stein, Sharman (February 20, 1992). "Second Convict Tells of Torture By Burge". Chicago Tribune. Newsbank. Archived from the original on January 21, 2016. Retrieved July 15, 2008. ↑ Stein, Sharman (February 21, 1992). "3rd Witness Calls Burge A Torturer". Chicago Tribune. Newsbank. Archived from the original on January 21, 2016. Retrieved July 15, 2008. ↑ "Burge Case Ruling Seen Far Away". Chicago Tribune. Newsbank. March 20, 1992. Archived from the original on January 21, 2016. Retrieved July 15, 2008. 1 2 Nicodemus, Charles (February 11, 1993). "Burge Fired in Torture Case – Guilty of Abusing '82 Murder Suspect". Chicago Sun-Times. Newsbank. Archived from the original on January 21, 2016. Retrieved July 15, 2008. ↑ Stein, Sharman (February 11, 1993). "Police Board Fires Burge For Brutality". Chicago Tribune. Newsbank. Archived from the original on January 21, 2016. Retrieved July 15, 2008. ↑ Nicodemus, Charles (February 12, 1993). "Cops in Brutality Case Lose Detective Rank". Chicago Sun-Times. Newsbank. Archived from the original on January 21, 2016. Retrieved July 15, 2008. ↑ "Demoted Detectives Win Reinstatement". Chicago Tribune. Newsbank. January 28, 1994. Archived from the original on January 21, 2016. Retrieved July 15, 2008. ↑ Ortiz, Lou (March 13, 1993). "Burge Sues to Overturn His Firing". Chicago Sun-Times. Newsbank. Archived from the original on January 21, 2016. Retrieved July 15, 2008. ↑ "Burge Asks To Regain Police Job And Pay". Chicago Tribune. Newsbank. March 13, 1993. Archived from the original on January 21, 2016. Retrieved July 15, 2008. ↑ Fegelman, Andrew (February 11, 1994). "Cop Firing Torture Case Upheld". Chicago Tribune. Newsbank. Archived from the original on January 21, 2016. Retrieved July 15, 2008. ↑ Lehmann, Daniel J. (February 11, 1994). "Court Backs Cop's Firing for Torture". Chicago Sun-Times. Newsbank. Archived from the original on January 21, 2016. Retrieved July 15, 2008. ↑ Nicodemus, Charles (November 17, 1991). "Special prosecutor urged in police torture hearing". Chicago Sun-Times. Newsbank. Archived from the original on August 26, 2016. Retrieved July 15, 2008. ↑ Nicodemus, Charles (November 29, 1991). "City mum on if it'll pay to defend cop in suit". Chicago Sun-Times. Newsbank. Archived from the original on January 21, 2016. Retrieved July 15, 2008. ↑ Lehmann, Daniel J. (October 5, 1993). "Cop-Killer Gets OK To Seek Damages". Chicago Sun-Times. Newsbank. Archived from the original on January 21, 2016. Retrieved July 15, 2008. ↑ Crawford, Jan (October 5, 1993). "Cop Killer's Torture Suit Revived". Chicago Tribune. Newsbank. Archived from the original on January 21, 2016. Retrieved July 15, 2008. ↑ Paige Bierma (July 1994). "Torture behind bars: right here in the United States of America". progressive.org. Archived from the original on November 3, 2007. ↑ Mills, Steve (December 17, 1998). "Convicted Killer Wins Support in Battle To Overturn Sentence – Hearing Sought on Allegations of Police Brutality". Chicago Tribune. Newsbank. Archived from the original on January 21, 2016. Retrieved July 15, 2008. ↑ Drell, Adrienne (December 11, 1998). "Petitioners want inmate spared – Death penalty foes say cop tortured Patterson". Chicago Sun-Times. Newsbank. Archived from the original on January 21, 2016. Retrieved July 15, 2008. 1 2 Nicodemus, Charles (February 3, 1999). "Lawyers urge review of 10 capital cases". Chicago Sun-Times. Newsbank. Archived from the original on January 21, 2016. Retrieved July 15, 2008. ↑ Mills, Steve (February 3, 1999). "Death Row Convictions Tied To Cop Brutality". Chicago Tribune. Newsbank. Archived from the original on January 21, 2016. Retrieved July 15, 2008. ↑ Mills, Steve (February 23, 1999). "Brutality Probe Haunts City – Cops Go Unpunished Despite Ops Findings Suspects Were Tortured". Chicago Tribune. Newsbank. Archived from the original on January 21, 2016. Retrieved July 15, 2008. ↑ Nicodemus, Charles (March 19, 1999). "Re-try 'Death Row 10' case, Devine urged". Chicago Sun-Times. Newsbank. Archived from the original on April 2, 2015. Retrieved July 15, 2008. ↑ Mills, Steve (April 27, 1999). "Devine Hears Appeal For Death Row Inmate – Prosecutors To Review Case Before Execution". Chicago Tribune. Newsbank. Archived from the original on April 2, 2015. Retrieved July 15, 2008. ↑ Lehmann, Daniel J. (July 28, 1999). "Death Row delays sought – Devine wants 3 cases reviewed". Chicago Sun-Times. Newsbank. Archived from the original on April 2, 2015. Retrieved July 15, 2008. ↑ "High court rejects Devine's bid to stay three executions". Chicago Sun-Times. Newsbank. August 27, 1999. Retrieved July 15, 2008. ↑ Mills, Steve (August 26, 1999). "Judge Orders 3 Death Penalty Cases To Move Ahead – Inmates Claim Police Forced Them To Confess". Chicago Tribune. Newsbank. Retrieved July 15, 2008. ↑ Loven, Jennifer (July 29, 1999). "Reno Meets on Chicago Police>Lawmaker, Activists List Their Complaints With Attorney General". Peoria Journal Star . Newsbank. Archived from the original on April 2, 2015. Retrieved July 15, 2008. ↑ McRoberts, Flynn (February 7, 1999). "NU Professor Now A Media Superstar". Chicago Tribune. Newsbank. Archived from the original on October 26, 2008. Retrieved August 1, 2008. ↑ Zorn, Eric (February 2, 1999). "Evidence Grows That Wrong Man Is on Death Row". Chicago Tribune. Newsbank. Archived from the original on January 21, 2016. Retrieved August 2, 2008. ↑ Holt, Douglas (February 3, 1999). "Death Row Inmate's Hearing Is Put on Hold – NU Students Turn Over Evidence in Porter Case". Chicago Tribune. Newsbank. Retrieved August 2, 2008. ↑ Forte, Lorraine (February 2, 1999). "Murder case witness recants, saying police coerced him". Chicago Sun-Times. Newsbank. Archived from the original on January 21, 2016. Retrieved August 2, 2008. 1 2 Fingeret, Lisa (February 14, 2000). "Death Penalty Foes Call For Federal Moratorium". Chicago Tribune. Newsbank. Archived from the original on January 21, 2016. Retrieved July 15, 2008. 1 2 3 4 Ferkenhoff, Eric (July 19, 2006). "Chicago's Toughest Cop Goes Down". Time . Time Inc. Retrieved July 16, 2008. ↑ Mills, Steve; Ken Armstrong (March 5, 2002). "Hard calls face Ryan in Death Row review". Chicago Tribune. Newsbank. Archived from the original on January 21, 2016. Retrieved July 15, 2008. ↑ Mills, Steve (January 21, 2001). "Convicted Killer Drops Claim of Cop Torture To Win Freedom". Chicago Tribune. Newsbank. Archived from the original on January 21, 2016. Retrieved July 15, 2008. ↑ Mills, Steve (September 27, 2001). "Devine offers Death Row deal – Inmates who drop cop torture claims may gain freedom". Chicago Tribune. Newsbank. Archived from the original on January 21, 2016. Retrieved July 15, 2008. ↑ Mills, Steve and Ken Armstrong (October 2, 2001). "Death Row deal rejected – Inmate says no to Devine's offer". Chicago Tribune. Newsbank. Retrieved July 15, 2008. ↑ Wilgoren, Jodi (January 10, 2003). "Illinois Expected To Free 4 Inmates". The New York Times Company . Retrieved November 17, 2007. ↑ Mills, Steve; Maurice Possley (January 12, 2003). "Decision day for 156 inmates – Ryan poised to make history after 3 years of debate on death penalty". Chicago Tribune. Newsbank. Archived from the original on January 21, 2016. Retrieved July 15, 2008. ↑ Mills, Steve; Maurice Possley (January 10, 2003). "Ryan to pardon 4 on Death Row – Men say they were tortured by Chicago police". Chicago Tribune. Newsbank. Archived from the original on January 21, 2016. Retrieved July 15, 2008. ↑ "Ryan To Pardon 4 Tied To Cop Torture – Death Row inmates say they were coerced into confessing". Chicago Sun-Times. Newsbank. January 10, 2003. Archived from the original on January 21, 2016. Retrieved July 15, 2008. ↑ Wilgoren, Jodi (January 11, 2003). "4 Death Row Inmates Are Pardoned". The New York Times Company . Retrieved November 17, 2007. ↑ Ruethling, Gretchen (July 22, 2006). "Chicago Mayor Says He Shares Responsibility in Torture Cases". The New York Times Company . Retrieved November 18, 2007. 1 2 Office of Congressman Jesse Jackson, Jr. (July 19, 2007). "Daley Culpable in Cop Abuse – Must Explain Himself". US House of Representatives. Archived from the original on October 3, 2007. Retrieved October 2, 2007. ↑ Armstrong, Ken; Steve Mills (August 11, 2000). "Justices Reject 6 Death Sentences –– 2 Inmates Get New Hearings on Police Brutality Charges – – Hearing Ordered For DuPage Convict Birkett". Chicago Tribune. Newsbank. Archived from the original on January 21, 2016. Retrieved July 15, 2008. ↑ McKinney, Dave (August 27, 1999). "Death Row inmates win ruling". Chicago Sun-Times. Newsbank. Archived from the original on January 21, 2016. Retrieved July 15, 2008. ↑ Mills, Steve (May 20, 2003). "Man freed from Death Row sues city, alleging torture – Hobley is first of 4 pardoned to file suit in case". Chicago Tribune. Newsbank. Archived from the original on January 21, 2016. Retrieved July 15, 2008. ↑ "METRO BRIEFS". Chicago Sun-Times. Newsbank. May 30, 2003. Archived from the original on January 21, 2016. Retrieved July 15, 2008. ↑ Mills, Steve (June 27, 2003). "Ex-Death Row inmate files $30 million suit". Chicago Tribune. Newsbank. Archived from the original on January 21, 2016. Retrieved July 15, 2008. ↑ Fuller, Janet Rausa (June 27, 2003). "Freed Death Row inmate files – $30 million suit against Chicago". Chicago Sun-Times. Newsbank. Archived from the original on January 21, 2016. Retrieved July 15, 2008. ↑ "Former Death Row inmate files civil rights lawsuit". Chicago Sun-Times. Newsbank. November 25, 2003. Archived from the original on January 21, 2016. Retrieved July 15, 2008. ↑ Mills, Steve (November 25, 2003). "Pardoned convict files suit alleging torture, cover-up". Chicago Tribune. Newsbank. Archived from the original on January 21, 2016. Retrieved July 15, 2008. ↑ Mick Dumke (December 13, 2007). "Hurry Up and Wait". Chicago Reader. Retrieved June 26, 2008. ↑ Spielman, Fran (January 4, 2008). "Burge victims close to payday – Hurdles to settlement cleared". Chicago Sun-Times. Newsbank. Archived from the original on May 4, 2012. Retrieved July 14, 2008. ↑ "Illinois: Torture Settlement Is Approved". The New York Times . The New York Times Company. January 10, 2008. Retrieved July 15, 2008. ↑ Davey, Monica; Catrin Einhorn (December 8, 2007). "Settlement for Torture of 4 Men by Police". The New York Times . The New York Times Company . Retrieved July 15, 2008. 1 2 3 4 Sadovi, Carlos (April 25, 2002). "Judge orders torture probe – For years, cop accused of beatings, abuse". Chicago Sun-Times. Newsbank. Retrieved January 29, 2009. ↑ "Jon Burge and the Legacy of the Chicago Police Department". September 19, 2018. ↑ "Report: Chicago Cops Used Torture". Chicago Tribune. Retrieved September 19, 2018. ↑ Sadovi, Carlos (April 25, 2002). "Special prosecutor to probe cop torture". Chicago Sun-Times. Newsbank. Retrieved January 29, 2009. ↑ "Cop torture probe gets boost from ex-prosecutor". Chicago Sun-Times. Newsbank. March 12, 2003. Retrieved January 29, 2009. ↑ Korecki, Natasha (July 13, 2004). "Burge, 8 others take Fifth on police torture – Current and former cops questioned for upcoming lawsuit". Chicago Sun-Times. Newsbank. Archived from the original on May 18, 2015. Retrieved July 16, 2008. 1 2 3 4 Korecki, Natasha (September 2, 2004). "Subpoena catches up with Burge". Chicago Sun-Times. Newsbank. Retrieved January 29, 2009. ↑ Mills, Steve; Maurice Possley (December 2, 2005). "3 Burge cops get immunity in torture case". Chicago Tribune. Newsbank. Archived from the original on May 18, 2015. Retrieved July 16, 2008. ↑ Sweeney, Annie (August 30, 2005). "Global agency asked to probe police torture". Chicago Sun-Times. Newsbank. Retrieved January 29, 2009. ↑ Ruethling, Gretchen (August 30, 2005). "Police Torture Accusations". The New York Times . Retrieved November 17, 2007. ↑ Davey, Monica (May 20, 2006). "Judge Rules Report on Police in Chicago Should Be Released". The New York Times Company . Retrieved November 17, 2007. ↑ Pallasch, Abdon M. (June 21, 2006). "Court clears way for report on cop abuse". Chicago Sun-Times. Newsbank. Retrieved January 29, 2009. 1 2 3 Rudoren, Judi (July 20, 2006). "Inquiry Finds Police Abuse, but Says Law Bars Trials". The New York Times Company . Retrieved November 17, 2007. ↑ Marin, Carol (July 23, 2006). "Burge report doesn't tell whole story". Chicago Sun-Times. Newsbank. Retrieved January 29, 2009. ↑ "How and Why A Code of Silence Between State's Attorneys and Police Officers Resulted in Unprosecuted Torture". DePaul University . Retrieved September 19, 2018. ↑ Conclusions and recommendations of the Committee against Torture: United States of America, unhchr.ch, July 25, 2006. ↑ Nicodemus, Charles (August 11, 2000). "Cop links 10 capital cases". Chicago Sun-Times. Newsbank. Archived from the original on January 21, 2016. Retrieved July 15, 2008. ↑ Carpenter, John (August 20, 2000). "Former cop accused of torture lies low in Fla". Chicago Sun-Times. Newsbank. Archived from the original on January 21, 2016. Retrieved July 15, 2008. ↑ Adrian, Matt (February 28, 1999). "Forced confessions targeted – Panel favors mandatory police videotaping". Chicago Sun-Times. Newsbank. Archived from the original on January 21, 2016. Retrieved July 15, 2008. ↑ "Legislative panel considers requiring videotaped confessions". Courier-News. Newsbank. July 24, 1999. Archived from the original on January 21, 2016. Retrieved July 15, 2008. ↑ Ripley, Amanda (November 15, 2004). "Obama's Ascent". Time . Time Inc. Retrieved July 19, 2008. ↑ Wills, Christopher (July 18, 2005). "Taped interrogations to begin today". Northwest Herald . Newsbank. Archived from the original on January 21, 2016. Retrieved July 16, 2008. ↑ McKinney, Dave (July 30, 2003). "Governor OK with death penalty reform—almost – Vetoes provision to oust cops but backs rest of legislation". Chicago Sun-Times. Newsbank. Archived from the original on January 21, 2016. Retrieved July 15, 2008. ↑ "Blagojevich puts reform on hold". Chicago Tribune. Newsbank. July 30, 2003. Archived from the original on January 21, 2016. Retrieved July 15, 2008. ↑ Legislative Activity: Illinois, Death Penalty Information Center (2017); accessed January 14, 2017. 1 2 3 Saulny, Susan; Eric Ferkenhoff (October 21, 2008). "Ex-Officer Linked to Brutality Is Arrested". The New York Times . The New York Times Company . Retrieved December 28, 2008. ↑ "Jon Burge Indictment". Huffington Post . HuffingtonPost.com, Inc. October 21, 2008. Retrieved October 22, 2008. 1 2 Barovick, Harriet (October 23, 2008). "The World". Time . Time Inc. Retrieved December 28, 2008. ↑ Main, Franklin (October 21, 2008). "Ex-Chicago cop Burge arrested in torture cases". Chicago Sun-Times. Digital Chicago, Inc. Archived from the original on October 22, 2008. Retrieved October 22, 2008. 1 2 3 Johnson, Dirk (October 29, 2008). "Long Arm of the Law: A Chicago cop is charged with lying about abuse". Newsweek . Retrieved December 28, 2008. ↑ Main, Frank (May 1, 2009). "Burge : I can't get fair trial in Chicago". Chicago Sun-Times. Retrieved May 17, 2009. ↑ "Burge requests change of venue". Chicago Tribune. May 1, 2009. Retrieved May 17, 2009. ↑ Walberg, Matthew (April 30, 2009). "Convicted murderer gets OK on Burge subpoena". Chicago Tribune. Retrieved May 17, 2009. ↑ "Florida judge refuses to grant Burge subpoena". Chicago Tribune. May 13, 2009. Retrieved May 17, 2009. ↑ Walberg, Matthew (May 5, 2010). "Jury selection begins in Jon Burge torture trial: Ex-Chicago police detective charged with perjury and obstruction of justice, after allegedly lying about torture of suspects". Chicago Tribune. Retrieved May 21, 2010. ↑ "90 Potential Jurors in Jon Burge Case Given Questionnaires". Fox Television Stations, Inc. May 17, 2010. Retrieved May 21, 2010. ↑ "Federal trial of Burge opens with torture allegations". Chicago Tribune. May 26, 2010. Retrieved June 29, 2010. ↑ Walberg, Matthew (June 17, 2010). "Feisty, emotional Burge denies torture: Former police commander testifies he's never condoned or witnessed abuse". Chicago Tribune. Retrieved June 29, 2010. ↑ "Illinois: Ex-Officer Is Questioned About Taking Law Into His Own Hands". The New York Times . June 22, 2010. p. A18. Retrieved June 29, 2010. ↑ Walberg, Matthew; William Lee (June 24, 2010). "Burge case goes to the jury: Defense says accusers conspired on torture claims in prison". Chicago Tribune. Retrieved June 29, 2010. ↑ "No verdict Friday in Burge trial: Deliberations set to resume Monday in case of ex-cop accused of lying about torture". Chicago Tribune. June 25, 2010. Retrieved June 29, 2010. ↑ "Burge found guilty of lying about torture". chicagobreakingnews.com. June 28, 2010. Archived from the original on June 29, 2010. Retrieved June 29, 2010. ↑ Sweeney, Annie (January 21, 2011). "Burge given 4 1/2 years in prison: Judge scolds authorities for not putting a stop to alleged torture". Chicago Tribune. Retrieved January 27, 2011. ↑ Warren, James (January 22, 2011). "Burge Case Ends With a Prison Sentence and No Little Bit of Wondering". The New York Times . Retrieved January 27, 2011. ↑ "Judge refuses to exit Burge case: Defense raises potential conflict of interest". Chicago Tribune. January 12, 2011. Retrieved January 27, 2011. ↑ Sweeney, Annie (January 20, 2011). "Burge's sentencing hearing begins today: Former police commander convicted of lying about abuse". Chicago Tribune. Retrieved January 27, 2011. ↑ "Jon Burge". Federal Bureau of Prisons. Archived from the original on March 30, 2011. Retrieved March 29, 2011. ↑ Lee, Trymaine (October 3, 2014). "Jon Burge, ex-Chicago cop who ran torture ring, released from prison". MSNBC . Retrieved October 5, 2014. ↑ Fretland, Katie; Don Terry (June 25, 2010). "Verdict in Burge Trial Will Not Bring Issue to a Close". The New York Times . p. A25A. Retrieved June 29, 2010. 1 2 Andrew Schroedter"Beyond Burge", Better Government Association, April 5, 2014; accessed January 17, 2017. 1 2 Steve Bogira, "Torture Commission can only help victims whose torture stemmed from Burge", Chicago Reader, April 5, 2016; accessed January 14, 2017. ↑ "Retired Chicago detective focus of British newspaper investigation". Chicago Tribune. Retrieved September 19, 2018. ↑ "Man convicted of Gold Coast 'ATM murder' says he was framed". WGN. Retrieved September 19, 2018. 1 2 3 4 5 Cate Murphy (February 19, 2015). "The Long Reach of Police Torture: From Chicago to Guantánamo". Colorlines . Retrieved March 4, 2015. This month, disgraced Chicago police commander Jon Burge walked free with his pension after serving 4 1/2 years for lying under oath. Burge is accused of torturing or overseeing the torture of more than 100 African-American men on the city's South and Westsides throughout the 1970s and 1980s. 1 2 "Former Chicago detective tortured Gitmo detainee: investigator". CLTV. February 19, 2015. Retrieved March 4, 2015. According to London's Guardian newspaper, there is evidence that former Chicago police detective Richard Zuley – one of commander Jon Burge's men – tortured a detainee at Gimto during an interrogation in 2002. ↑ Spencer Ackerman (February 18, 2015). "Guantánamo torturer led brutal Chicago regime of shackling and confession". Chicago, IL: The Guardian . Retrieved March 4, 2015. Chicago has long had an institutional problem with police torture. An infamous former police commander, Jon Burge, used to administer electric shocks to Chicagoans taken into his station, and hit them over the head with telephone books. On Friday, Burge was released from home monitoring, the conclusion of a four and a half-year federal sentence – not for torture, but for perjury. ↑ "Chicago to pay reparations to police torture victims". USA Today . April 14, 2015. ↑ Spielman, Fran (April 17, 2015). "Disgraced Chicago cop Jon Burge breaks silence, condemns $5.5 million reparations fund". Chicago Sun-Times. Archived from the original on April 19, 2015. ↑ Madhani, Aamer (May 6, 2015). "Chicago City Council approves reparations for police torture victims". USA Today. 1 2 3 Mills, Steve (May 6, 2015). "Burge reparations deal a product of long negotiations". Chicago Tribune. Tribune Publishing. Retrieved July 28, 2015. ↑ Ackerman, Spencer; Stafford, Zach (May 7, 2015). "Victims of Chicago police savagery hope reparations fund is 'beacon' for world". The Guardian. Guardian Media Group. Retrieved July 28, 2015. ↑ Davey, Monica; Smith, Mitch (May 6, 2015). "Chicago to Pay $5 Million to Victims of Police Abuse". New York Times. The New York Times Company. Retrieved July 28, 2015. ↑ Davis, Ken. "Chicago Newsroom". YouTube.com. Chicago Access Network Television. Retrieved July 28, 2015. ↑ "Former Chicago Police Cmdr. Jon Burge, tied to torture cases, has died". Chicago Sun-Times. September 19, 2018. Retrieved September 19, 2018. 1 2 "Jon Burge, disgraced former CPD commander, dead at 70". ABC Chicago. September 19, 2018. Retrieved September 19, 2018. ↑ "Jon Burge, Disgraced Former Police Commander, Dies at 70". WTTW-TV. September 19, 2018. Retrieved September 20, 2018. ↑ "Jon Burge, alleged ringleader of police torture in Chicago, dies at 70". The Washington Post . September 21, 2018. Retrieved September 21, 2018. ↑ "Jon Burge, former Chicago Police commander who routinely tortured Black people, dies". Mic. September 19, 2018. ↑ Goodman, Jill Laurie (April 16, 2000). "A Disturbing Inquiry into Torture and Human Nature". Chicago Tribune. Newsbank. Archived from the original on January 21, 2016. Retrieved July 15, 2008. ↑ Houlihan, Mary (September 23, 2001). "Family sharpens filmmakers' focus". Chicago Sun-Times. Newsbank. Archived from the original on January 21, 2016. Retrieved August 1, 2008. ↑ "Evil With Power: Id's New Series Untouchable: Power Corrupts Delves Into The Dark Underbelly Of Authority". Discovery Press Web. Retrieved September 19, 2018. The Federal Correctional Complex, Butner is a United States federal prison complex for men in Butner, North Carolina. 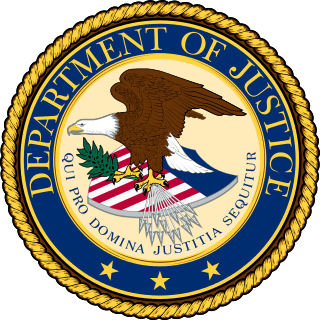 It is operated by the Federal Bureau of Prisons, a division of the United States Department of Justice. FCC Butner is about 25 miles (40 km) northwest of Raleigh, the state capital. It includes the Bureau's largest medical complex, which operates a drug treatment program and specializes in oncology and behavioral science. Among its inmates is Bernie Madoff, who was convicted for perpetrating the largest Ponzi scheme in history. Sandra Lee "Sandi" Jackson was elected to the Chicago City Council as an alderman of the 7th ward of the City of Chicago in the 2007 municipal elections held on February 27, 2007. She succeeded Darcel A. Beavers who had been appointed by Chicago Mayor Richard M. Daley after the 2006 November elections to succeed her father William Beavers, Jackson's rival, as alderman of the 7th Ward. Jackson resigned from Chicago City Council, effective January 15, 2013. On February 20, 2013, Jackson pleaded guilty to one count of filing false tax returns, and on August 14, 2013 was sentenced to one year in prison. Toni Lynn Preckwinkle is an American politician and the current Cook County Board President in Cook County, Illinois, United States. She was first elected in November 2010 as President of the Cook County Board, the Executive Branch of Cook County government, and became the first woman elected to this position. She was previously a five-term alderman in the Chicago City Council, representing Chicago's 4th ward. Arthur Schultz was an American Republican politician. He was a five-term mayor of Joliet, Illinois, the fourth largest municipality in the state after Chicago, Aurora, and Rockford. He was last elected in April 2007. Prior to his first election, he served in the United States Navy and in the Joliet Police Department. G. Flint Taylor is an American human rights and civil rights attorney based in Chicago, Illinois, who has litigated many high-profile police brutality, government misconduct and death penalty cases. Taylor has pursued public interest law to take on allegations of corrupt police tactics and wrongful convictions in the city of Chicago and elsewhere. Taylor was part of a team of negotiators in the 2015 landmark decision by the City of Chicago to award reparations to the survivors of police torture, becoming the first municipal government to do so. Richard P. Zuley is a former homicide detective in the United States who had a 37-year career in the Chicago Police Department. He was known for being able to gain confessions from suspects, which often led to their convictions. Since the early 2000s, some of these convictions have been investigated and overturned as wrongful, following allegations that he had tortured and/or framed suspects. Since 2013 he has been the subject of several civil suits from inmates claiming abuse and frame-ups to gain convictions. Lathierial Boyd is an African-American man from Chicago who was wrongfully convicted of murder in 1990 and served 23 years in prison. His appeals were turned down. An investigation by WGN-TV television in 2001 helped document new evidence in his case. The Exonerated is a 2002 play by Jessica Blank and Erik Jensen that debuted Off-Broadway on October 10, 2002 at 45 Bleecker Theater and ran for over 600 performances. It won numerous awards including the Lucille Lortel Award for Unique Theatrical Experience, the Drama Desk Award for Unique Theatrical Experience, and the Outer Critics Circle Award for Outstanding Off-Broadway Play. It was adapted into a 2005 film by the same name. The shooting of Laquan McDonald took place on October 20, 2014, in Chicago, Illinois, when the 17-year-old African American was fatally shot by Chicago Police Officer Jason Van Dyke. McDonald was reported to have been behaving erratically while walking down the street, and holding a folding knife with a three-inch (7.5 cm) blade. Initially, internal police reports described the incident similarly and ruled the shooting justified and Van Dyke was not charged in the shooting at that time. Conroy, John, Unspeakable Acts, Ordinary People: The Dynamics of Torture ; ISBN 0-520-23039-6, University of California Press, 2001. Police Torture in Chicago: An archive of articles by John Conroy on police torture, Jon Burge, and related issues, Chicago Reader ; accessed June 6, 2018. Trial Begins for Ex-Chicago Police Lt. Accused of Torturing More than 100 African American Men – video report by Democracy Now! Human Rights at Home: The Chicago Police Torture Archive, humanrights.uchicago.edu; accessed June 6, 2018. Police Misconduct, law.northwestern.edu; accessed June 6, 2018.